This dish is a more sophisticated version of the ever popular Chicken Tikka Masala, which was invented as a way of using up leftover Tandoori chicken in Indian restaurants in the UK. Unlike Chicken Tikka, Butter Chicken (or Murgh Makhani) has its origins in Northern India and consists of chicken marinated in spiced yogurt, then cooked in a sauce rich with butter, tomato and spices including methi (fenugreek) leaves. The fenugreek gives a very particular ‘curry’ flavour, with a really sweet, fragrant scent that’s very recognisable. Here we are serving it with a tangy kachumber salad and rice. Want something NEW and exciting to cook every month? Sign up for our Easy Kit Subscription for just £6.00! Adding a dessert blend? We'll email you the recipe once you've ordered! The simplest way to enjoy your favourite Spicery flavours every month! Stay topped up and get 2 of the newest Easy Kits delivered through your letterbox every month - pick and choose what you need (or let us decide for you!) or switch instead to a box of One Pot Wonders, Curry Legend Blends or Seasonal Ingredients to use in your own cooking! It's easy to swap, skip and set your frequency - and you can cancel at any time! Your boxes will be sent on the 27th of each month. Add an easy dessert blend? Burritos!! This months recipe was a banger. Served up with some home made Salsa and Guaca. Looks amazing, great job on the homemade condiments as well! 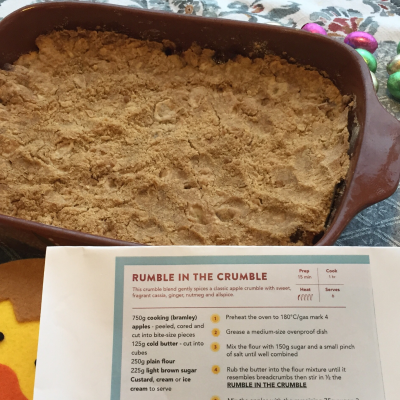 Rumble in the Crumble made for the family in the Easter Holidays - a nice (and spicy) change from chocolate! Turned out amazing! A little heavy on the onion, which I find is a bit of a pattern with these kits. I tend to need about half the amount of onion that they recommend. Back again for more! This time I purchased the spice bags for Christmas presents. They are great! Very fast delivery. A favourite of ours and friends alike. I love The Spidery. Their spices are very high quality and as fresh as can be. Their spice kits are a weekly treat for us; always something new and interesting and always easy to follow. Great service! Helped me with my order and even setup my account for me, without me having to ask, thanks! Wonderful butter chicken, very authentic. Very tasty and not too hot. Order, purchased as a gift, arrived really quickly. Bought add a gift as I absolutely live the simplicity and taste of the recipes! A great mix of curries to try and delivered straight to my door! Lovely and tasty products and super quick delivery. The website is easy to use and delivery was fast. What more could you ask for! My husband says this is better than a restaurant, he loves it! 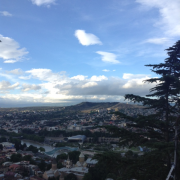 Easy to make contact and rectify my mistake with address. Spice packets look great, neat packaging that is practical- they'll stand up tidily in the cupboard. So pleased I found them, will be back!! I'm now a complete convert and regularly order. The recipes are so easy, you just need half a dozen ingredients that I usually have anyway and they take about 20 mins to prepare. So easy and tasty. Highly recommend! Have used these kits mainly for Asian restaurant dishes. Results very authentic and tasty. Takes some time but always ends up with a special meal. Would recommend. So easy to make.Another winner! This was really vey easy and quick to make. Instructions are simple and the resultant meal really impressive. Full of flavour and lovely salad. Very helpful customer service. Original and high quality product. Reordered as it was so good last time. Great service. Order processed same day and mailed back. 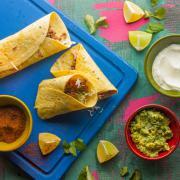 Recipe kits reliably good. 20% discount for 6 or more kits!